On September 11th, 2015 just before 11:30 am there was an incident on the prison yard. I still do not know for sure what exactly happened. What I do know is that the building control officer ordered everyone in the day-room to get down on the floor. Moments later he told them all to return to their cells immediately. I was already in my cell at this time. Using my little hand mirror to look out the back window to the yard I could see just a few inmates laying on their stomachs on the ground. Whatever happened was out of my small field of view. Over the next several minutes I could see several officers, medical assistants & nurses walking through the area. They never seemed to be in a hurry, whatever happened was over. I saw an ambulance and a separate medical van. Inmates who were not involved were moved away from the incident. Later I saw some being escorted in handcuffs. I was grateful not to be out on the yard. Whatever happened began a lock down and search of the prison yard. That is not an uncommon occurrence for prison in general, but it was the first time it has happened since I got here on May 30th, 2013. This is a calm and peaceful yard based on prison standards. Bad things normally don’t happen here. The days that passed were almost tortuous. 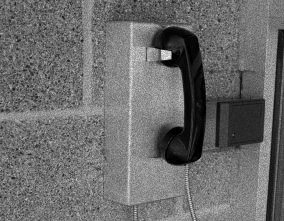 It felt horrible to instantly have phone calls, my main form of communication, cut off without warning. It’s not fair and it’s not OK. I can handle being locked in my cell all day, as long as I still get to call my family. The hardest part was worrying about my Emelia and my mom and needing them to know I am safe. Since the incident happened on a Friday, the earliest my letters letting them know I was OK would get to them was Thursday, almost a week later! It would take nearly a week for my family to even hear from me, and they would spend that time hoping and praying I was safe. We need communication with the people we love, it was extremely painful to be denied this for 14 days. I worried about my family constantly before the lock down was finally over. I worried how it would affect Emelia and our relationship. It was devastating to lose all my phone calls for another reason. More is happening with my legal case than has happened in years. On August 27th the court ruled in my favor granting an evidentiary hearing in an extremely favorable ruling. And as far as I knew at this point on October 7th there would be a status conference hearing in Federal District Court. Right then my family and lawyers were preparing for the upcoming court dates and I was completely out of the loop. It really frustrated me. The other frustrating part of all this was the cell searches. I know I have nothing to worry about when they come in and search my cell but it still causes me a lot of unnecessary anxiety. I do not have any contraband or anything I could get in trouble over, but I do have some things that they could potentially take away from me like my pets. I have two pet lizards, and a pet toad. I also have a plant growing, an extra hot pot, and I breed crickets to feed my pets. This is slightly unusual and I worried about losing my pets with the search.